Stock photography is about selling images, these days almost always online. More specifically, selling the license to use a photograph. Stock photographs end up in magazines, books, on webpages, as wallpapers, etc. With stock photography, a picture can be sold many times. This means the sale price can be relatively low but the quantity of sales high. Typically, the stock agency takes the bulk of the sale price and the photographer collects a royalty for the sale. As for why you should care–as a photographer’s collection of photographs gets bigger and bigger, this can turn into a full-time job. For some people like me, it can turn into a thriving business that employs over 40 staff members. 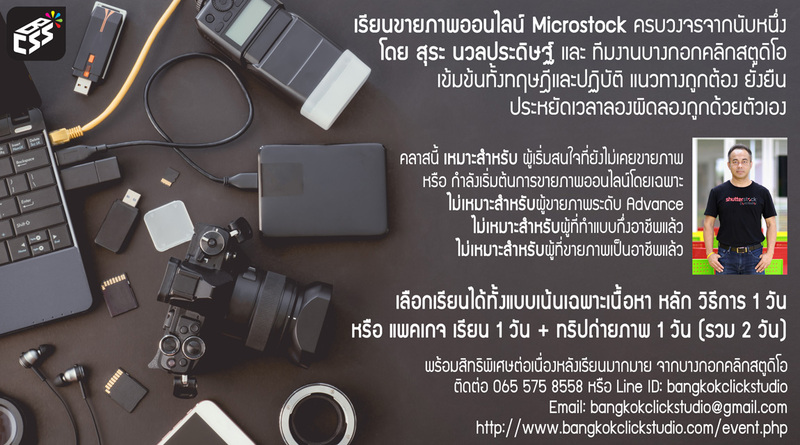 This article is a beginners guide about stock photography and how you can enter the stock photography business and be successful in it. I’ll also warn you of some potential pitfalls you’ll want to watch out for..
1. Give you an entry exam. You have to submit test photos and/or pass a quiz. 2. Once you’re in, they give you upload limits detailing how many files you may upload based on your approval rating or sales. The hardest entry tests to get through are on shutterstock or the Istock entry test and often you have to try more than once. The other tests are pretty easy. Step one: passing that entry test! Here is where I urge you to have patience and take time to be sure you are creating technically correct photos. There are a number of common technical problems an image will be rejected for, and below I describe each of these in detail. Many people fail their entry test, and it’s usually for the same basic technical reasons. If you make the mistakes I describe below, to a reviewer, it looks like you’ve been careless. If you are a professional photographer, especially a journalist, this is where you often fail. My tip? Don’t just go crazy on the forums and scream about how stupid stock photography is, read this first and learn why you were rejected. Work smarter, not harder. Learn from your rejections, and give the agencies what they want. Then you get what you want. Money and sales! Fringing problems as a result of chromatic aberration are very common. Chromatic abberation is a fancy way of saying the lens didn’t focus all colors to the same point. When this leads to a fringe, you’ll see slight lines of color (often purple or blue) on the borders of elements in your picture. Fringing problems are most visible when you push lenses and optics to extremes. For example, when using an ultra wide angle lens below 25mm or an ultra low F-stop below 2.0. Even great lenses will show signs of fringing when shooting high contrast too, such as shooting against a very bright background. Always look for fringing signs before submitting photographs to stock, because even the slightest fringe is reason enough for a rejection. There is a zero tolerance policy on this matter. Fringing is best removed by using a combination of the color replacement tool in photoshop or simply desaturating the problem area. Fringe is not only blue or purple, but can also be green, red and sometimes bright yellow. Do a google image search on “fringing examples” and you can get a visual of what I’m talking about. Moiré is form of chromatic aberration that appears on textures. Moiré appears when the digital camera has to interpret the real word into square pixels. Because the real world does not consist of small squares we do not see such problems in the world around us very often, but when we have to see the world through a sensor, patterns will appear much more readily between these squares. (Have you ever been reading the newspaper and seen an image that has a tiny pattern of dots throughout it? This is moiré and it is quite irritating.) Moiré can be avoided by choosing the right kind of clothes for your models–this really is a matter of fabric type and the way that the light hits it. Often small amounts of fringe will also be visible where the moiré is, making the problem even bigger. The best way to handle it is to desaturate the whole fabric and then artificially re-color it with a couple of color balance layers. Some cases of moiré are too strong and cannot be saved. Moiré is a clear-cut rejection reason. Artifacts appear as a result of compression and over-sharpening. When editing a picture in photoshop, if that pictures is a Jpg and not a Tiff file compression will appear every time you save the file. If you save and re-save too much, you will get artifacts on that file. Artifacts are another clear rejection reason. Edit in Tiff 8bit and only save to Jpg 12-11 just before uploading to a stock agency. Some cameras of low quality will create artifacts straight from the camera and should be avoided. The older versions of Camera RAW for photoshop also created artifacts when developed from RAW and into Tiff. It is highly problematic if your developing software creates artifacts even before the file is saved. This was the case for the older versions of Camera RAW and lightRoom. Artifacts can be blurred down with a gaussian blur of 0.3. If the artifacts are still visible after the blur, then do it again, but don’t go to 0.4 or 0.5 because then the image will look like it was out of focus. Banding is another definitive rejection reason and one that even professional stock photographers often simply forget about. I just recently had a file rejected for banding because it slipped my mind. Banding happens when there is not enough color information in the picture to create a smooth gradient between two colors. Banding problems are only visible on simple (non-texture, not-in-focus) areas. Some colors are better at creating banding problems than others. Orange to red, bright blue to white, bright blue to darker blue, dark green to green are all trouble maker color gradients and it’s here that you’ll find 80% of your banding problems. Banding is a huge problem for a digital photograph. There really is no fix for it. Even for a person like me who has spent four to six hours per day in photoshop for the last four years it is not easy to fix banding. Normally my assistant and I will try to do a photoshop replace of the problem area with a similar area from another picture, so it’s quite a big operation. Banding is normally avoided completely if you do not over saturate and do not overuse color balance. If you use the “levels” tool this will create enormous banding problems, so don’t do that. Once you start selling you will also start to see some patterns in what people like to buy. To make a very long story short, people buy pictures within the big industries of the world. For example, medical pictures sell generally well and that is because the medical industry is big and needs a lot of images. Images of wellness and spa related shoots also sell well and again is an example of another big industry. Have this in mind when you are planning your shoots and try to include images that are targeted to an industry instead of just shooting blindly. Now it really comes down to skill. There is a reason why I always shoot on a monopod and that is because of focus. I have a reputation in the stock industry of being insanely obsessed with focus and I really go to extremes to create super crisp files. Here are the rules for a how a picture should be in focus: Focal point should be on the front eyelid, not the eyebrow and not the back eye. Focus is ok if you can separately count eyelid hairs and distinguish them from each other. Remember some lenses will simply not be as sharp as others. The golden rule is if you can separate eyelid hairs from each other, you’re in business. On pictures of people that are far away this is not possible so just try to execute good judgement. If the image shows the least bit of of shaking, this is not acceptable. A shaken picture is a photographer’s mistake and will be rejected. Some images are intentionally motion-blurred to illustrate action and speed and this is ok, but I would not send such files for your test- evaluation. Forget about trying to save an image with adding sharpening. A good inspector can spot it a mile away and your image will be rejected for the reason of being “overfiltred” or “oversharpend”. Our buyers want images that are perfect and that they can print right away without any problems. This means no fancy flickr filters and deviant “baby retouching”. You should know that 99% percent of all images on flickr and deviant art would be rejected if they were submitted to a stock agency. They are simply what we call “baby photoshopped” – Showing too many signs of too many ambitious tricks and retouching efforts. By far the most overused effects would be diffusion glow or the hard light blending option on a denatured background layer. Yuck. Upload plain images. The inspectors will see an overly retouched or filtered image as an attempt to hide insufficient photographer skills. Don’t do it. This aspect is where most people get their rejections and also where they become the most angry. Just try to remember, this is the big league, harder than traditional stock (Getty images), harder than photography school, harder than what your mentor used to say and definitely harder then Flickr and DeviantArt. Make sure you think about what good stock photography is. Uninteresting content is things like images of pigeons, pets, trees, house utensils, fancy arty images in black and white, statues, public buildings, animals from a zoo, sunsets, waterlines, things around the house, computers, etc. The inspectors have seen it all. Do them a favour and present something great. When Getty bought Flickr, only 6000 images were transferred to be put for sale on Getty and this was out of millions and millions of images. 6000 images is less then one fifth of my own private collection of stock images so obviously, it is not easy to get image online on stock agencies. The good news is that once you know about the technical mistakes and how to fix them, not only have you become a much better technical photographer but you can also produce digital images that no art director in the world can criticize. Perfect images that no client can push back for technical reasons. When you look at my portfolio the images here are done within the above rules and that puts a lot of limitations on what I can do. I can’t go crazy and photoshop an image to the sky, because that would not be a stock image and it would get rejected. Okay I’m IN. Now what? The hardest part about shooting stock photography is coming up with creative ideas that will sell. I often get the question: “So how do you decide what to shoot?, do you just go out and shoot something?”. The answer to this is actually, yes. However, I never go out and “just” shoot, without some idea in the back of my head of what kind of imagery I plan on bringing home. In the olds days I would work with what we call a shootplan or a shotlist, with exact ideas that I would try to portray. Today my shootplan is almost empty and I shoot much more freely. I use the environment around me to get inspiration. If the location I am at has a chimeny I include that in the shoot, if the model is a gymnast I include acrobatics in the shoot. I simply take “in” the environment and use it. The big advantage of shooting like this is that it pays much better because I find myself not just duplicating what others have done before me (and probably have done better too). So here is how I prepare: I work with storyboard (a script basically) and plan props, locations and models around the script. Then when I arrive on set, I use the storyboard to keep track of time, sets, ideas, concepts, but other then that freestyle my way out of it. This style of shooting only works if you are highly productive and shoot a lot. If you freestyle and take your time, you will not go home with a lot of shots. Also this style requires knowledge about what sells and how to shoot it. Stock buyers are Geeks – Are you? Reading this, you might wonder: Why would Yuri share these secrets with me, his competition? Well the case is this: I believe in complete information sharing. I don’t hold anything back and have no problem giving away my secrets to new photographers. This was how I was introduced to stock by my mentor and this is the mind-set I prefer. I believe there is enough out there for everyone, and when we all become excellent as a group, this simply pushes the standard higher, and there’s nothing I love more than a challenge and an opportunity to do great work. Oh, and another minor detail–you still have to do the real work yourself! I can give you a helping hand and a few good micro guides, but you will have to do the hard work on your own. Good luck and always keep learning. The "I spy" concept was introduced to me by Scott Gordon, former Chief Creative Editor for Veer Images (and now part of the Yuri Arcurs Production team). He and I talked about small variations that a photographer can use to enhance the creative output of a shoot. He explained his notion that a little bit of intentional chaos can sometimes make a good image great. This method is designed to engage a viewer’s curiosity. By leaving things in the photo that are vague but intriguing, it’s as though you’ve set out a trail of breadcrumbs – hints about the story behind the image, and this subconsciously captures our interest. Real life isn’t always simple and ordered. It’s messy, it’s three dimensional and it doesn’t fit inside a tidy viewfinder. If you can intelligently incorporate some of that real world chaos into your images, they radiate authenticity and the buyers love it. This is a daring approach and should be used sparingly, but when it works, it really works. So what do I mean exactly by “mess”? Well, what I’m talking about is leaving some extra (even slightly distracting) elements in the shot, in the periphery. These unplanned items add a feeling of spontenaiety and truth to your pictures. When they work, the resulting images are alive and energetic, they add a mature level of sophistication to your portfolio and surprise—they sell. One of my favourite ways to use this technique is by shooting through grass, leaves or through glass. Grass or leaves. Getting down to a bug’s eye view in the grass really opens up a new world of possibilities. Lay on your belly and let a few strands poke into the frame. This doesn’t distract too much from your main image, but it gives a wonderful sense of context and place. All of a sudden instead of a boring static shot, you have a picture with a sense of place, the viewer knows where they are and what’s going on, and feels as though they’re getting a sneak peek in on the action. They want to know more. Glass. Shooting through glass gives a great alive and gritty urban feeling. There is a certain anonymous voyeurism to this type of shot. The viewer feels like they’re on a busy street catching the subject unawares. We get a sense that we are in a busy urban place where things are whirling about, but where our subject is unknowingly the object of attention. Put these elements together and you have a shot with some real oomph and charisma. In conclusion – does it sell? Yes. It sells. Adding these extras to your images makes them ring of truth, and in the end that’s what our buyers want. Using this method does something else that’s very important too. It beefs your portfolio up with something more mature, interesting and different, and in the end that’s what keeps our buyers coming back again and again. Give it a try and good luck!